Also known as the Cultural site featuring India, situated at eastern U.P., on the banks of river Ganges, it is one of the oldest and holiest cities of India. Varanasi is also called 'Kashi - the city of spiritual light'. From time immemorial Varanasi has been the centre of education, religion, art & culture. Thje city is marked by various temples, ghats, narow by lanes & Ashrams. It's an important centre for learning with the renowned 'Benaras Hindu University' - a premier institution. The city is also an important centre for silk weaving and Banarasi silk brocades sarees and carpets are cherished as collectors' item across the world. A wide range of brass, copper & silver articrafts and perfumeries can be seen here. Another speciality of Varanasi is bettle or pan famous as 'banarasi pan'. Pan lovers enjoy this special pan available only in this city ranging between Rs. 2/- to Rs. 200/- each. The ghats of Varanasi are a major attraction. Thousands come here for a holy dip in the Ganges and to worship in the temples beside the ghat. The Asighat, Barnasangam ghat, Manikarnika ghat, Tulsi ghat, Harishchandra and Dasaswamedh ghat, Kedar ghat, Siva ghat, Ram ghat, Panchya Ganga ghat etc. has a particular significance. The Kashi Viswanath temple or the Golden temple was built in 1776 by Rani Ahilyabai of Indore. The temple is dedicated to lord Shiva. The gold of about 800 kgs on the towers was donated by Mahaja Ranjit Singh of Lahore. The temple gyan kapor and its drinking water lead to gain of spiritual insight. Durga temple was built in the 8th century, in the Indian Nagesh style. Tulsi Manas temple, close to the Durga temple, was built in 1964. It is dedicated to lord Rama and both the temples are built in the Shikhara style. The walls are engraved with verses and scenes from the epic 'Ramcharit manas'. One of the other watchable - Ram Nagar Fort is situated 2 kms from Benaras Hindu University, across the Ganges. A section of this fort consists of a museum, which displays the royalty which was one part of the kingdom. Benaras Hindu University is the largest and oldest University in northern India and was established by Pt. Madan Mohan Malaviya in 1970. It is a centre for education and Indian art, culture, music philosophy and Sanskrit. This city lines on the northern railway as is well connected to the rest of the country. Mughal Sarai, 12 kms away from Varanasi is another important plae / railhead. Varanasi or Kashi is older than traditions. Varanasi presents a unique combination of physical, metaphysical and supernatural elements. According to the Hindu mythology, Varanasi liberates soul from human body to the ultimate. It is the Ganga Ghats of Varanasi that complement the concept of divinity. Ghats of Ganga are perhaps the holiest spots of Varanasi. The Ganga Ghats at Varanasi are full of pilgrims who flock to the place to take a dip in the holy Ganges, which is believed to absolve one from all sins. There are number of temples on the bank of the Ganga river in Varanasi. It is believed that people are cleansed physically, mentally and spiritually at Ganga Ghats. It is at the Ganga Ghats where we see life and death together. For thousands of years people have been thronging these Ghats to offer their morning prayers to the rising sun. There are more than 100 ghats along side Ganga in Varanasi. Some of the prominent and popular Ghats at Varanasi are the Dasaswamedh Ghat, Manikarnika Ghat, Harischandra Ghat, Kabir Ghat and Assi Ghat. Hotel Ganges is a budget hotel, situated at Dashawamedh Road, Varanashi at a distance of just one minute from Vishwanath Temple and at a mere distance of two minutes from dashawamedh Ghat. The rooms are with attached Bath with 24 hours running water, Colour Television and with/without Air Cooler (for Non AC Rooms). Aditya Inn is conveniently located minutes away from city's leading shopping malls and within easy access to the main banking and commercial area. It is within walking distance of the Railway & Bus Station. Hotel Temple at Ganges is located at Assi Ghat-Varanasi and derives its name 'asi' from this Ghat. The hotel has a peaceful environment and hence is in tune with The holy ganges. Within the Heartbeat of the city, but far from madding the crowd. 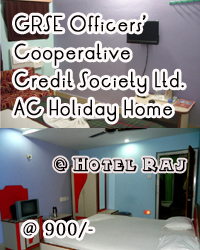 The hotel provides a homey atmosphere & hospitable environment to our guests.